For my card this year, I knew I wanted to cut with the die twice and then piece together the two. I originally started with a much funkier paper, but couldn't pull it off since it is so not my style. I ended up choosing this flowery paper and making a Victorian Valentine. For the background I used a Stampin Up edgelit die and then embossed the paper. I used Wink of Stella on the outline and the smaller red hearts. 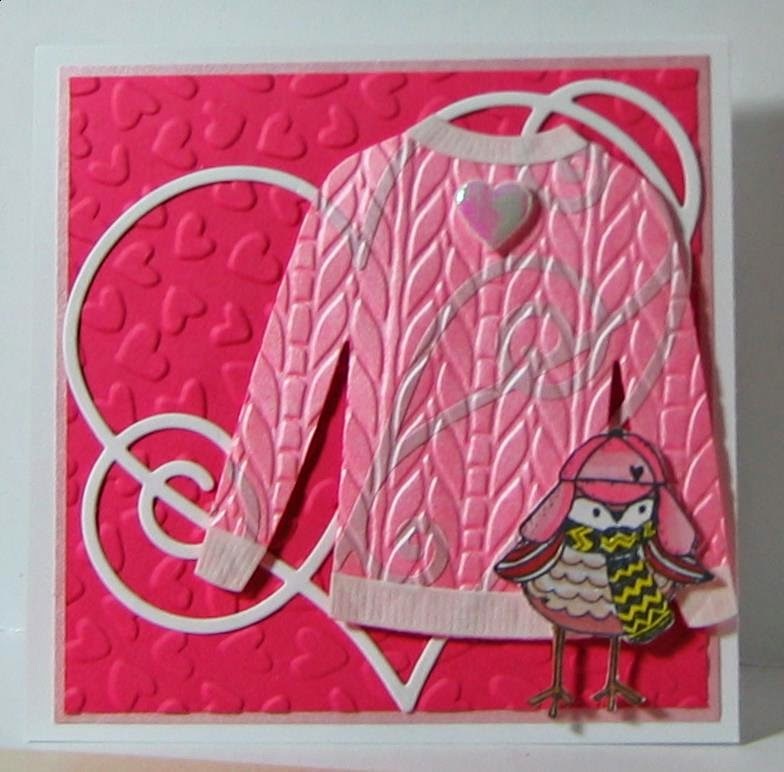 I am entering my card in the SSS Monday challenge: Red+Pink. 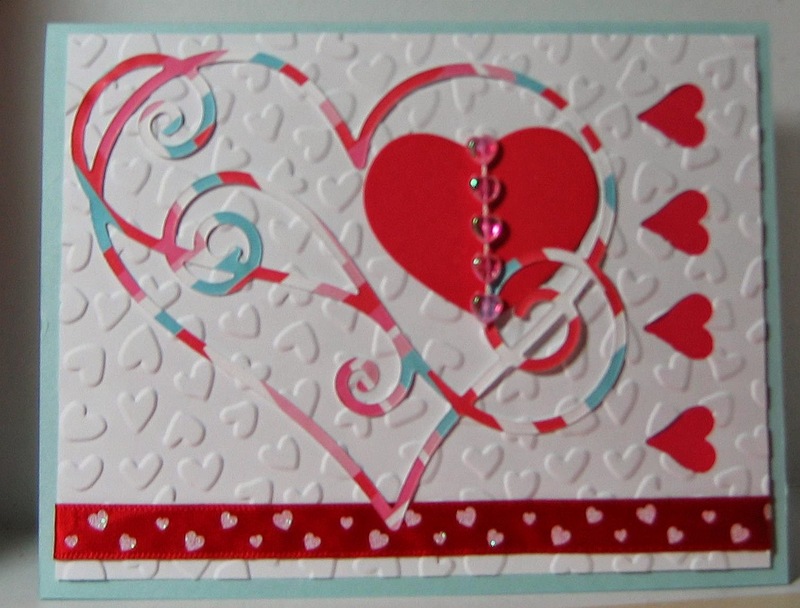 Bob used pattern paper with the die and pulled off a very modern look by cutting out a row of hearts down the side and adding a red ribbon with white hearts across the bottom. BB gets kudos for using the string of tiny hearts to embellish her card. And I just noticed, being the only lefty in our group, she used the die the opposite way from the rest of us. I like the fact that she used blue (my favorite color) in her card too. Melba and Tina both liked red sparkle paper for their diecut heart. 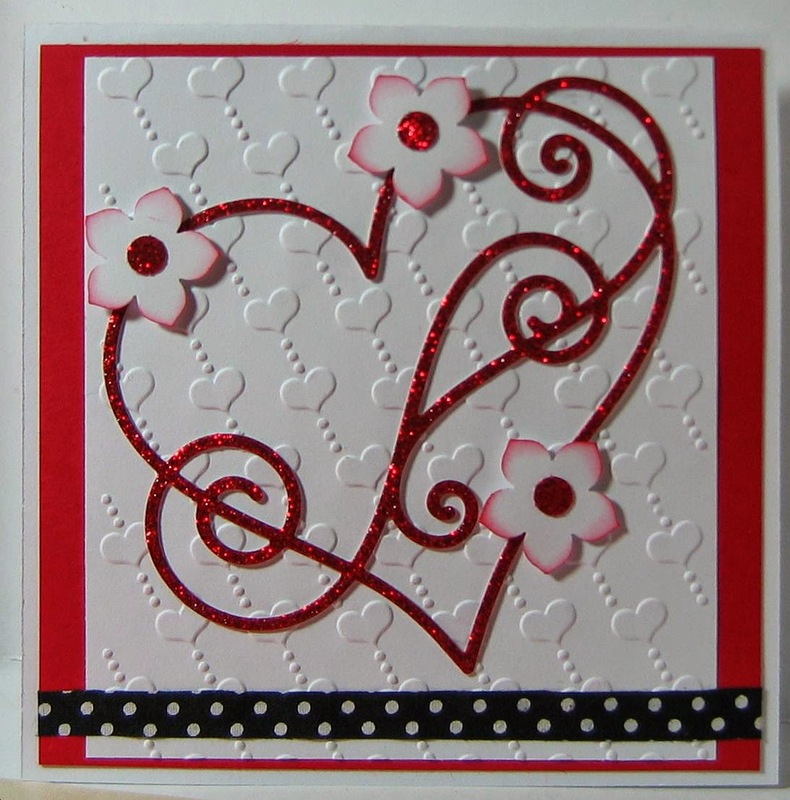 Tina embossed her white background with hearts. I looked at the card and at first thought the black polka dotted ribbon was blue (my mind went fast forward to the 4th of July). Her embellishment of choice were three white flowers with gems for centers. Lovely. And congratulations on your retirement Mrs. T! 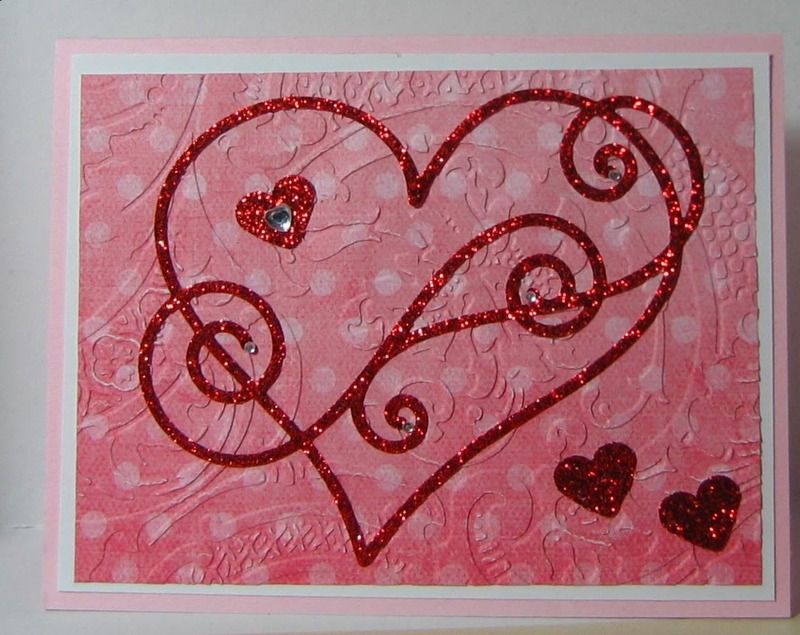 Melba dry embossed a pink pattern paper for her background and embellished with three sparkly hearts, and little gemmies. Sweet. Lola went for hot pink on her card. The amazing part of this card is that she carried the curvy heart into the sweater. That cute little bird in his warm hat and scarf is an itty bitty stamp by Unity. Our generous friend made sure that we all had the little guy in our gift box. And that little heart "pin" on the sweater is the perfect embellishment. All this as she is recovering from the flu! 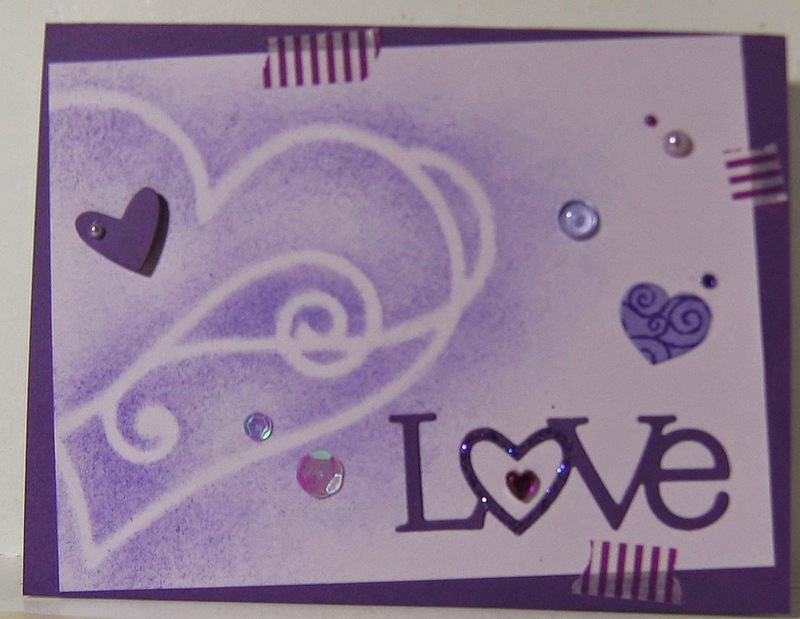 Susanne went way outside the box with her curvy heart, using the die to cut a stencil to use as a mask when she sponged purple ink on the paper. Her diecut is the LOVE sentiment. She also went for a modern look turning the top layer, adding washi tape and mismatched embellishments (I spy a dewdrop - one down, 99 thousand to go, Susanne). Heavenly. 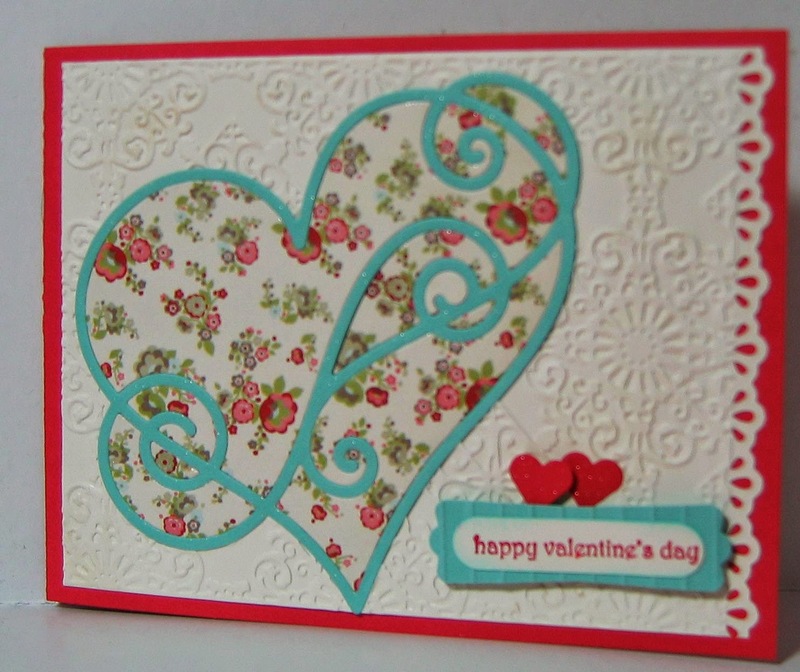 Susanne has even more Swirl Heart cards on her website Keep in Touch. I hope you stop in to visit her. And last but not least, our hostess, Jules went for this black card. I couldn't take a photograph that would entirely show the shiny gold outline in the heart and around the border. 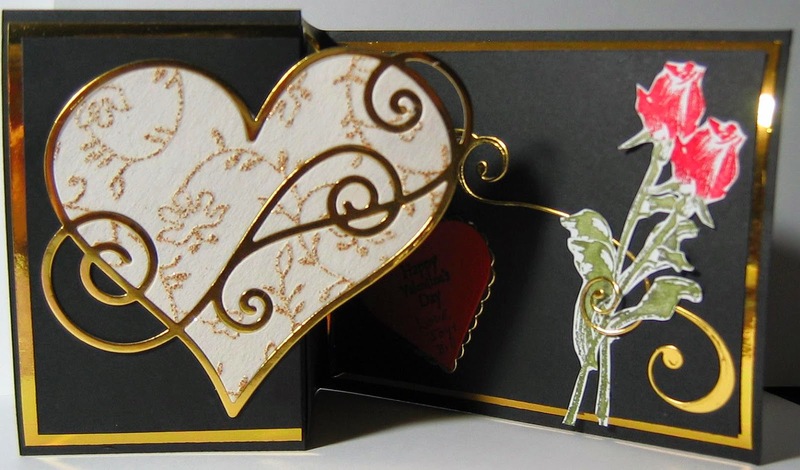 The heart inlayed with a beautiful gold embossed paper, the reverse fold, the roses caught in another echoing swirl, all make for a stunning card. I think our challenge was a success and I hope you liked seeing the results. Thank you for visiting. Hi, Dora! 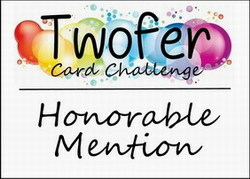 What a fun batch of cards for your group challenge! 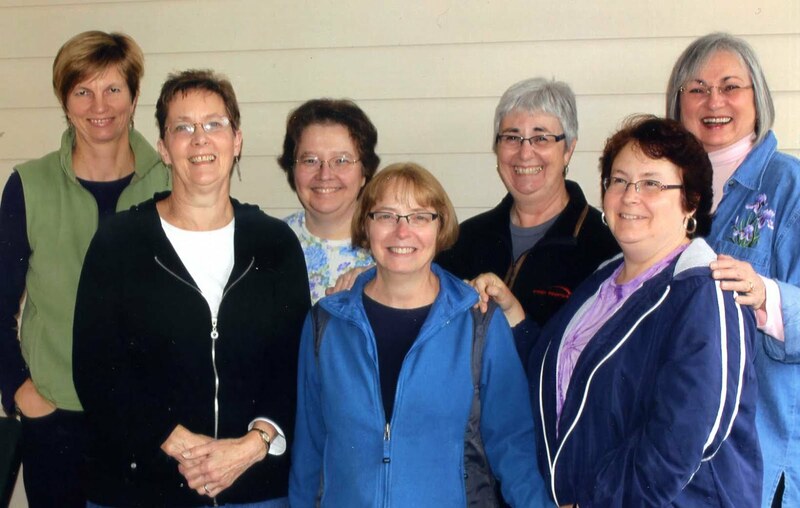 And, I am a bit jealous that you have seven friends to challenge each other in this way. Thank you for your sweet comment on my blog. I appreciate that you took the time to visit! !